Are you influencing the conversation? More than anything, the internet has become a place where people socialize. They talk about what they are doing, what they are buying and – most importantly – how they feel about the businesses they interact with. Chances are someone, somewhere is already talking about you. Don’t you think it’s time to join the conversation? 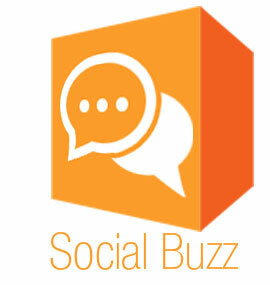 SEOBuzz is a groundbreaking service that allows you to monitor and influence online discussions relevant to your business, putting you in control of your company’s reputation. We set up listening systems to monitor conversations online in forums, chat rooms , blogs and more. When people start talking about your business, you’ll be the first to know. Even the best businesses get bad press from time to time. In a world where word-of-mouth has gone global, one misunderstanding can quickly become a major public relations nightmare. Worse, some businesses attempt to respond to their detractors without the proper PR training and inadvertently create further problems. Our philosophy is based on the idea that managing your reputation involves three important components: what you say, how you say it, and where you say it. That’s why we target syndicated content and respond to discussions in the places and ways that provide the most positive return for your company’s reputation. There’s a lot more to reputation management than just damage control. You need to be proactive in building a positive image of your brand. Who are the people who use your products and services? Where do they spend their time online?